No one can deny that progress and technology has been affecting a lot of traditional industries in the past decade or so. The music industry was completely reworked when digital distribution was unleashed to the world. Today, the Tribeca Film Institute (TFI) is taking a bold step by acknowledging the power of new media. TFI is willing to fund filmmakers who are brave enough to meld traditional film-making with newer media platforms like video games, blogging, mobile applications and social networks. Pretty interesting especially that TFI is willing to give grants of $50,000 to $100,000 to projects who get accepted. Press release details are available after the break. [New York, NY – February 14, 2011] – The Tribeca Film Institute (TFI) today announced a long-term partnership with the Ford Foundation’s JustFilms initiative and the launch of the Tribeca Film Institute New Media Fund. In a move that acknowledges the value of audience engagement, the $750,000 fund will provide support and funding to film projects which go beyond traditional screens – integrating film with content across newer media platforms, from video games and mobile apps to social networks and micro-blogging. All projects will activate audiences around issues of contemporary social justice and equality. In its inaugural year, non-fiction projects accepted into the TFI New Media Fund will each receive $50,000 to $100,000 in funding to directly support ambitious projects that demonstrate the power of direct audience engagement and cross-platform storytelling. To date, this will mark the largest grant in the U.S. available to filmmakers who utilize cross-platform storytelling to promote social change. Beginning in 2012, JustFilms will increase its support of TFI by contributing $1M a year over five years to support TFI New Media Fund projects. This announcement comes in a milestone year for both TFI and the Ford Foundation, as the Ford Foundation celebrates 75 years of philanthropic giving and TFI moves into its 10th year. Submissions will be open from April 4 through May 25, 2011. TFI will require select grantees to document their process, and help build an open on-line resource for media producers with the goal of establishing best practices in this new ‘transmedia’ field. The TFI New Media Fund is currently soliciting online feedback from a variety of disciplines and industries on the proposed submissions guidelines for the fund in order to foster an open dialog about what is possible in this new field. The TFI New Media Fund will consider projects which present a non-fiction story focused on social issues and include an integrated cross-platform or new media component designed to engage and activate audiences. Producers from the US and internationally are invited to apply. “In recent years documentaries that address social injustices have led the way in modeling how independent filmmakers can reach and activate audiences. We're so excited to be able to take that work to the next level with this initiative,” said Beth Janson, newly appointed executive director of the Tribeca Film Institute. Preceding this announcement, the Ford Foundation launched JustFilms, a five-year, $50 million initiative to help find and support a new generation of filmmakers whose works address urgent social issues. The launch of the TFI New Media Fund will be at the cornerstone of the partnership between the Ford Foundation and TFI, and will continue to grow throughout the year as projects are selected; ultimately helping to bring them to fruition. 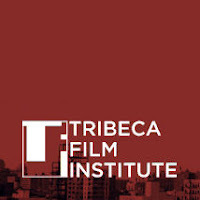 The TFI New Media Fund will be highlighted at this year’s Tribeca Film Festival (April 20 – May 1, 2011), and the grant recipients will be announced in September 2011. About the Ford Foundation (www.fordfoundation.org) The Ford Foundation is an independent, nonprofit grant-making organization. For more than half a century it has worked with courageous people on the frontlines of social change worldwide, guided by its mission to strengthen democratic values, reduce poverty and injustice, promote international cooperation, and advance human achievement. With headquarters in New York, the foundation has offices in Latin America, Africa, the Middle East, and Asia.